Either way, we've teamed up again with the social network Vero to throw a private soirée at KOKO, where we'll be taking over the top floor bar for a free drinks reception soundtracked by some expert selectors. We'll also be frisbee-ing out free copies of the magazine so you can get a first-look glimpse at our four beautiful cover stars. 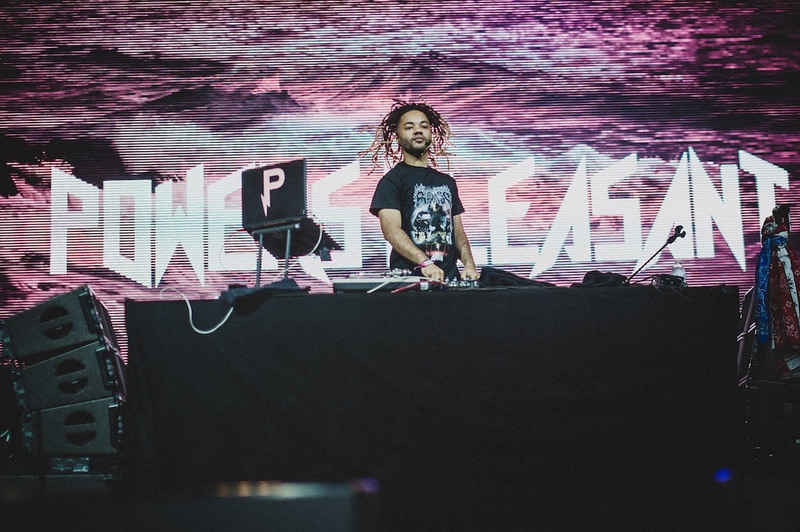 We're proud to welcome Powers Pleasant, founding member of Brooklyn's Pro Era crew and one of the production geniuses behind Joey Bada$$'s smash hit anthem 'Devastated'. 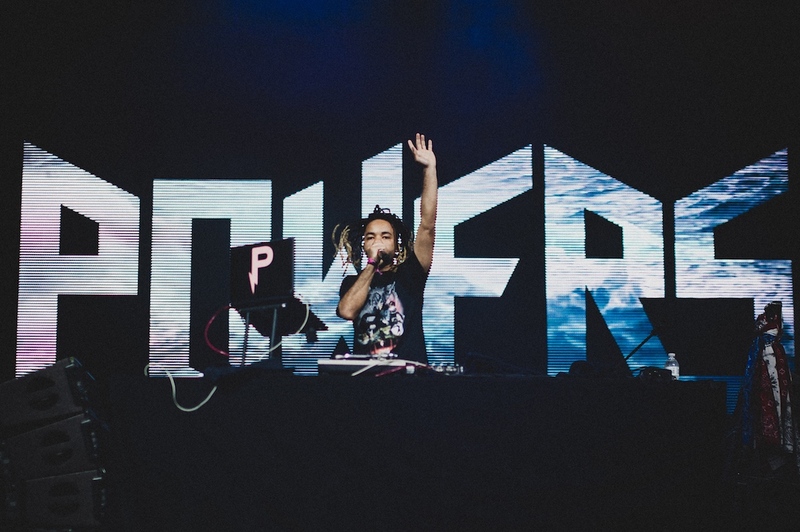 Powers will be delivering one of his famously raucous DJ sets before embarking on the European leg of Joey Bada$$'s world tour. 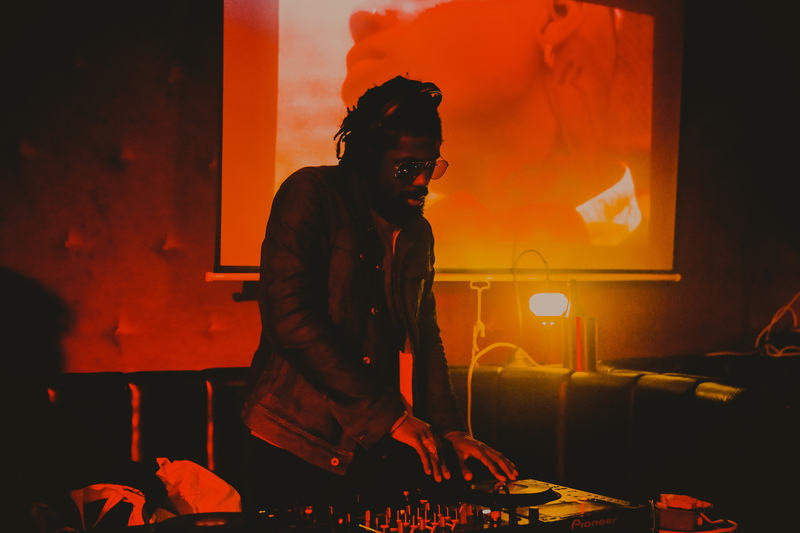 Joining him for a turn on the decks is Radar Radio mainstay and the brains behind NANG — Ralph Hardy, who boasts some serious ahead-of-the-curve curational talents. 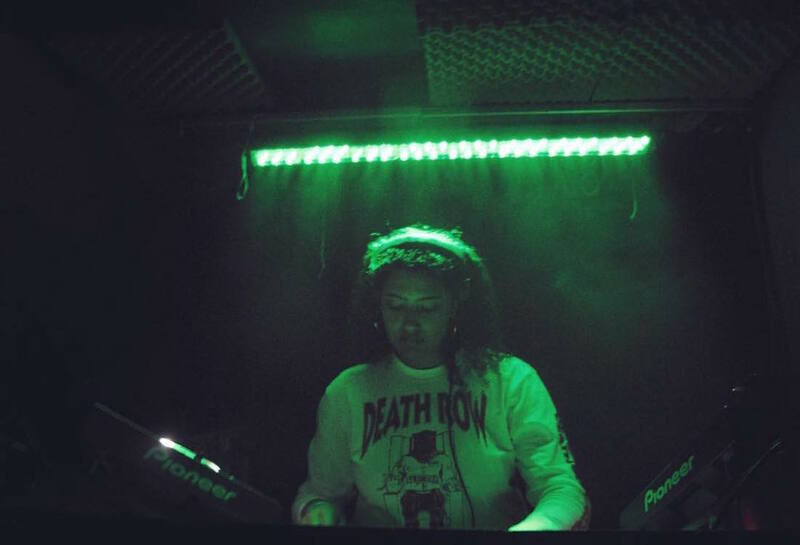 Tiffany Calver has been doing bits for some time — now spinning regularly on Kiss FM, her coveted sets consistently champion the next gen of music. 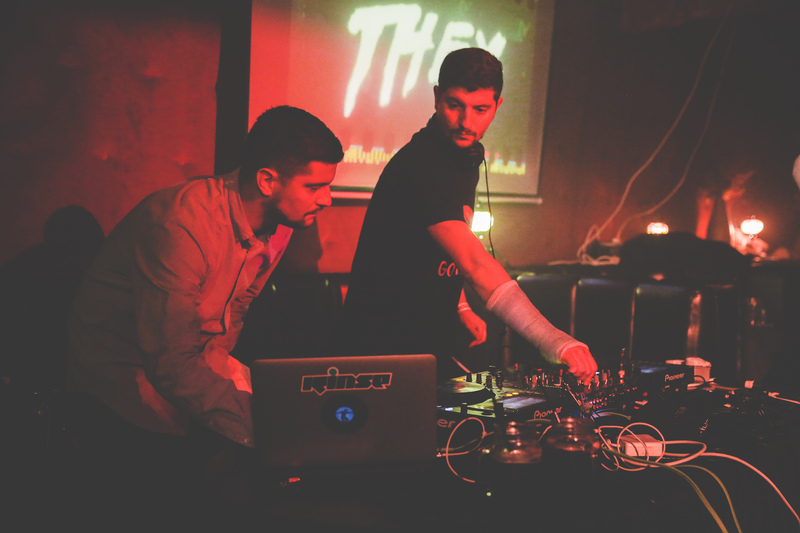 Rounding off the evening will be Rinse FM regulars The Menendez Bros — the identical twins proving that, when it comes to throwing a party, four hands are better than two. There will be a free Jack Daniels drinks reception and £1.50 beers until 12:30 while stocks last. We have 100 free tickets for this event. 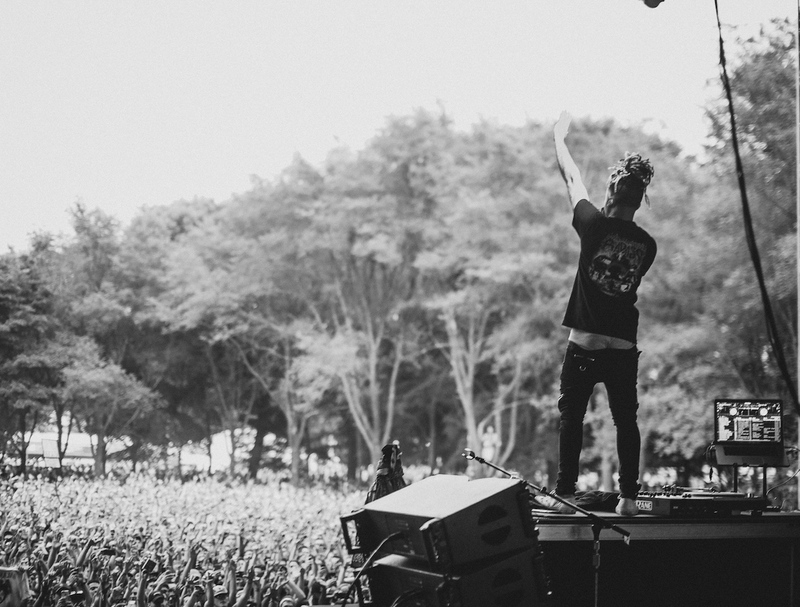 To secure yours download the Vero app and follow the link posted on the Clash Magazine profile. Download here. Please note: entry is only guaranteed with proof of download of the Vero app, shown on your smartphone at the door. Download here. 10pm - 3am, Friday 13th October. 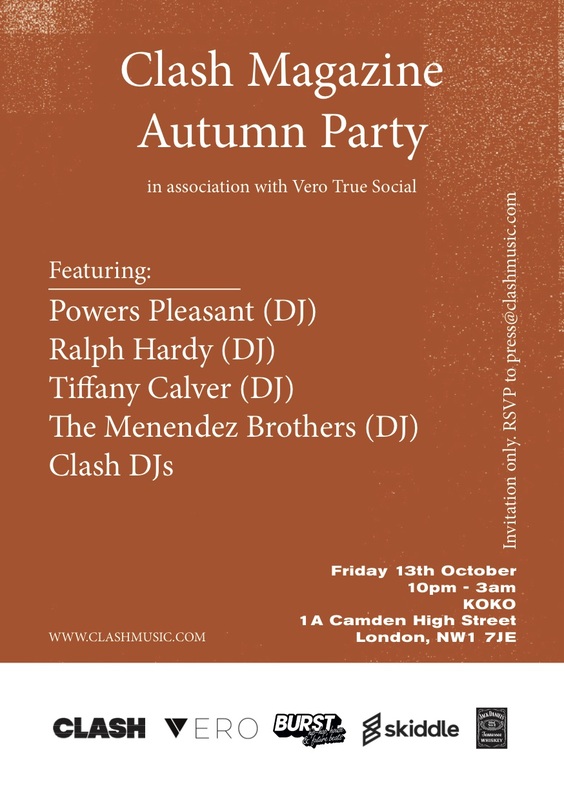 Clash Autumn Party in association with @VeroTrueSocial ft. @PowersPleasant @RalphHardy @TiffanyCalver @themenendezbros + more... Full details at ClashMusic.com!